Mexicans are the world’s largest consumers of bottled water, both in individual small bottles (1.5 liters or less) and in garrafones (large, 20-liter bottles). The main reason is a lack of confidence in the purity of public water supplies, resulting in part from perceived inefficiencies in how city water systems are managed and maintained. These concerns may be valid in some parts of Mexico, but are certainly not the case in all areas. Other factors resulting in a high acceptance of bottled water are the convenience, Mexico’s warm climate, and the vigorous publicity and advertising campaigns carried out by bottled water companies. It does not help that consumer groups repeatedly express concerns even about the quality of water in garrafones, claiming that some companies apparently take insufficient precautions to prevent its contamination. For its part, the National Water Commission repeatedly claims that the problem of water quality is not due to the main distribution lines in Mexico, but to problems at a local level, in the final stages of the network between supply and consumers. According to Euromonitor International, bottled water consumption in Mexico in 2013 averaged 186.7 liters/person, well ahead of Italy (175.1 liters/person), Nigeria (163.1), Turkey (147.7) and Spain (143.2). [Note that an earlier estimate in 2010 by Beverage Marketing Corporation put per person consumption of bottled water in Mexico at 234 liters a year, with equivalent figures for Italy, Spain and the USA of 191 liters, 119 liters and 110 liters respectively; the difference from 2010 to 2013 is almost certainly due to methodological differences]. 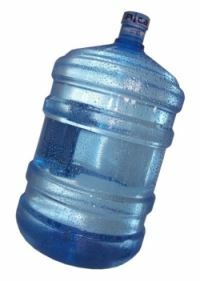 Mexico consumes about 13% of all bottled water sold in the world! The only countries consuming more bottled water (in total volume) than Mexico were the much more populous countries of the USA, China and Nigeria. Bottling water is a highly profitable business. The cost of 1,000 liters from the tap is 25 pesos (about 2 dollars); the same water, sold in bottles, is worth between 6000 and 8500 pesos (450 to 650 dollars). The bottled water market in Mexico has grown from 6.5 billion dollars in 2009 to 10.4 billion in 2013, according to Euromonitor. It is dominated by three foreign firms: Danone (France), Coca-Cola (USA) and PepsiCo (USA). Between them, they supply 82% of the market, according to a Euromonitor report, with the three leading brands being Bonafont (Danone) which accounts for 38% of the market, followed by Ciel (Coca-Cola) which has a 25% share and Epura (PepsiCo) 19%. The cost of bottled water in an average Mexican household is considerable. For instance, assuming an average consumption of 15.55 liters/month/person, and that all water is bought in 1-liter bottles (which cost about 8 pesos each), then the monthly cost per household would be close to 500 pesos (38 dollars). sell it at prices hundreds, even thousands of times more costly than ordinary tap water.